NEW YORK – Scott Servais wore an impish grin when media walked into the manager’s office of the visitor’s clubhouse a few hours before Wednesday night’s game. He knew what he had done earlier in the morning and he knew what the first question would be. But he tried to play coy at first. Earlier in the morning, Servais was on MLB Network Radio on Sirius XM and mentioned an idea he and the other Mariners coaches had come up with. Servais even came up with the theme for it. And the hashtag #IchiForDC was born on a tweet from the MLB Network Radio Twitter feed. Servais hadn’t discussed his campaign with Ichiro, the team’s “special advisor to the chairman,” prior to talking about it on the radio or with the media. But the back and forth between the two isn’t over. Through the power of social media and second-hand information, Ichiro had heard about Servais’ campaign early in the day before coming to Yankee Stadium. Ichiro isn’t taking the campaign seriously. The idea of Ichiro hitting in the home run derby isn’t new. Teammates and baseball writers have often lobbied for it to happen. Ichiro did drop an interesting note that wasn’t well-publicized in the past. That would have been the 2008 All-Star Game at the old Yankee Stadium with the short porch to right field. He would’ve had a good showing. Justin Morneau defeated Josh Hamilton in the derby that year. Servais mentioned how many homers Ichiro is still hitting in batting practice daily as a reason why he should do the Home Run Derby. 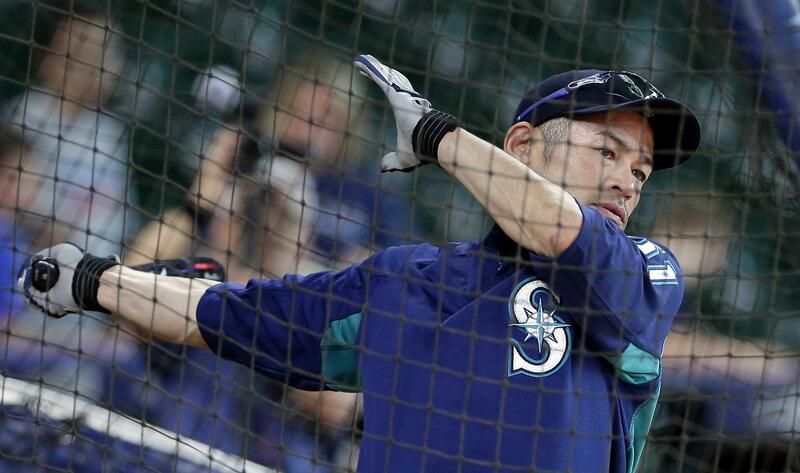 Admittedly, batting practice is Ichiro’s most important aspect of each day now that’s not allowed to participate in games. Asked for a firm answer on whether he would participate, Ichiro didn’t exactly say, “No.” But it doesn’t seem like he’s inclined to do it. In the spirit of the fun conversation, if he were to participate in the home run derby, who would he get to pitch to him? In 70 career plate appearances vs. the light-tossing lefty, Ichiro hit .409 (27 for 66) with a .929 on-base plus slugging percentage, a double, a triple, a homer and eight RBIs. For his career, Ichiro has four homers off right-hander Jason Johnson in 34 plate appearances. Published: June 21, 2018, 5:41 p.m.